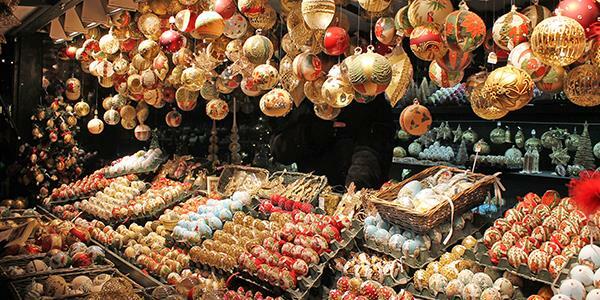 The Salzburg Christmas Market is one of the oldest of its kind. It is located through the picturesque Cathedral Square and Residenzplatz where it is overlooked by the city’s stunning Baroque cathedral and the elegant surrounding buildings. This popular festive market has a long history and stands in the heart of Salzburg’s World Heritage old town, making it a really special occasion. The traditional stalls are bedecked with lights and sell a fabulous selection of gifts and food. Find out how to stay in beautiful Austria yourself here. There has been a Christmas-time market in the city centre since the late 15th century, though it went under a different name back then. By the 17th century, it had been renamed ‘Nikolaimarkt’ or the ‘Market of Saint Nicholas’ and appeared for the two weeks prior to, and the two weeks following Saint Nicholas’ Day, which is the 6th December. 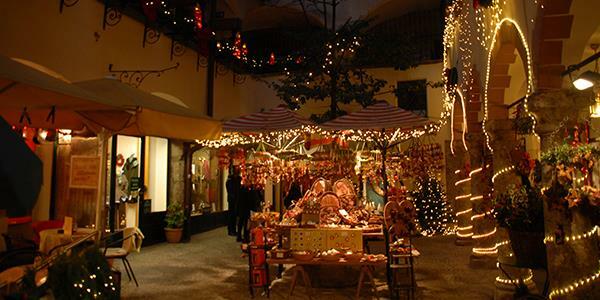 It was a popular affair and, throughout its history, the Salzburg Advent market has been pretty famous, held in high regard and considered equal to the likes of Paris, Vienna and Amsterdam markets. Salzburg Christkindlmarkt has now been running under its current title since 1974. It is a fun, family-friendly event that promises lots to see, do and buy! A fantastic opportunity to get out and soak up some of the holiday spirit. The historic town squares come alive with lights and traditional decorations hung all throughout the market. Special festoon lighting is strung up overhead and an impressive Christmas tree illuminates around 100 chalet-style stalls. You will find a range of Christmassy goodies, from gifts and crafts, to pretty decorations, regional and seasonal food, drinks, sweets, mulled wine and much more. There is an events programme that takes place daily over the festive period. You can get involved in sing-alongs or guided tours, enjoy live music, Christmas parades and choral concerts, or take youngsters along to readings of Christmas stories. Things kick off on the Thursday before the first Sunday of Advent which, this year, makes the opening night Thursday 30th November 2017, and it will remain there until Boxing Day. So plenty of time to dip in, do some shopping and revel in the atmosphere. To get in to the city, it’s a very simple journey from Viehhofen. If you have a car head north on the B311, take the B178 and the A1. If you’re travelling via public transport, there is a bus to Zell am See, just a short way away. From here there is a train right in to Salzburg. The train station is on the opposite side of the Salzach, so you’ll need to cross the river to get to the old town. The Christkindlmarkt takes place around the cathedral in Cathedral Square and Residenzplatz. Find out how to stay in Viehhofen by entering your details at the bottom of the page for a free brochure.